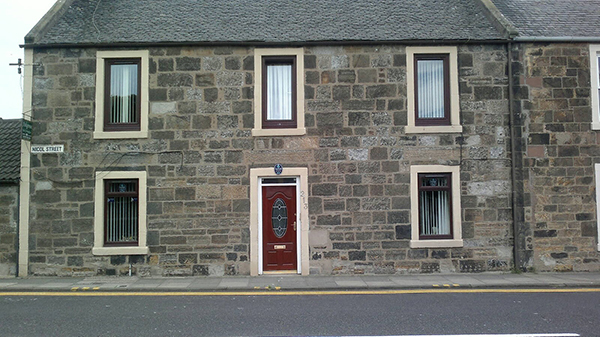 AshGrove Bed & Breakfast is located in Central Kirkcaldy in Fife. Minutes from rail and bus stations and a short walk from the town centre. With local attractions only a couple of minutes away and the Internationally renowned attractions of Edinburgh and St. Andrews golf course in close proximity, Ashgrove B&B is the ideal place to stay for a Scottish holiday. We provide a private car park to all of our visitors. We serve a variety of foods for breakfast, why not take a look at our menu? All of our rooms include hand-basins and showering facilites. Two of our rooms provide full en-suite services. We have twin, double and family rooms to meet the needs of different guests..
All of our rooms provide television and video facilities as standard.